This (at) Eleven series of Q&A’s began as a place to celebrate books written by people I know, or have come to know even in a small way (and usually with a food connection). Very occasionally it includes people I don’t know at all. Tracy Hamon is such an ‘occasion’. I only recently discovered her work through Brenda Schmidt, who mentioned something about Red Curls on FB, and I value Ms. Schmidt’s literary taste. Also, I loved the subject matter: an Austrian painter and his mistress living the Bohemian life at the turn of the (last) century. While a collection of poems is a wonderful thing, I was very pleasantly surprised to see that this is not a collection of poems. Instead, it’s a sort of ‘discovery’ shared… of the artist, the times he lived in, his inspirations, his work. And his effect on Hamon, who travelled to Austria to gain a deeper perspective of Egon Schiele, on his turf. In poems, yes, but also in narrative pieces from various perspectives, and in voices other than the poet’s. It’s also a tribute to the muse, an often overlooked element in an artist’s career. And often a woman. In this case the muse was Valerie Neuzil, known as ‘Wally’. The first section of the book is from Hamon’s perspective. On a train“the seat cripples my back with right angles.” She looks at buildings, rooftops, landscapes, trying to see through Schiele’s eyes, to find the things he painted, to understand what drove him, inspired him, to imagine the power and mystery of the relationship with his red-headed muse and mistress. The second part of the book is from Schiele’s perspective as Hamon takes us back to his childhood and early life, touches on events that shaped him, the loss of his father, his work with Klimt, society’s perception of him as debauched, his marriage to Edith and the end of his affair with Wally. The last section of the book, the last word almost, is given so fittingly to Wally. I suspect she would be pleased. Also worth mentioning is the cover (a painting by Virgilio Neto). 1. What literary character did you identify with as a kid? 2. Can you recall one of your earliest pieces of writing? TH—I remember writing something “Poe” like, it was slightly dark, maybe a little mysterious, though I can’t remember much more. I must’ve read the style in one of my mother’s many magazines and emulated it. I seem to have the faint recollection of the piece being chosen for some children’s writing magazine, but then again, my memory is faulty enough (and my ego large enough) these days that maybe I just imagine my first writing would get singled out. 3. What were you reading at fifteen? 4. I’m always curious about process. Where do you work best, do you have a writing routine, an ideal environment? And the all-important question: what about blocks… what’s your remedy for getting around/through them? TH—I work best in my head. Getting the writing out of there and onto paper is sometimes hard. While I can write anywhere, I need quiet to do so. I can write on paper or on the computer, although if I start on paper, I’ll eventually have to type it in a Word program so that I can play with it. I take a lot of notes and I go back and use these a lot when writing. I don’t believe in blocks—I either write or I don’t write and if I’m not writing I don’t worry about the not-writing. When I’m ready, I’ll write. I’ve been on a really long dry spell as of late, but I’m not worried. I’m doing more reading, but I’m also just too busy to write. 5. Are there often themes in your work that surprise you? 6. How did Schiele enter your life in such an important way—was it the ‘red curls’ that drew you? TH—My first encounter with Schiele resulted from a postcard sent by a friend. After I received the engaging card (Boy in Red Robe), I did some internet research and began thinking about his art work. As I read about Schiele and Neuzil, I grew curious about their relationship, and how and why their social situations and eccentricities (mostly Schiele’s as there isn’t much written about Wally) came to shape their relationship as a couple. The red hair connections were not the source of inspiration, but the bond that kept me writing—if that makes any sense. 6. 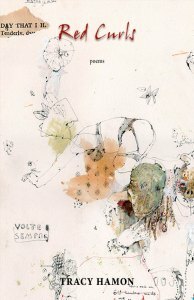 The love poem on page 48… for Wally, but for Klimt too? And the poem on the facing page: ‘Black and White Study for Transfiguration’, rising from the painting itself, yet the subject of the text is something else again. Can you talk a little about these two ‘shape’ poems? TH—Part of the process in writing this book was to explore various ways of writing poems about Schiele’s (and in that one poem, Klimt’s) art, without each poem solely focusing on responding to the artwork. I was exploring perceptions (mainly mine) of how, why, and what I see in both poetry and art. So to do this, I started playing with form, using the shape of various poems such as the two you mention, to reflect the images within the artwork, but then utilizing the content of the poem to create another aspect of the story. I was exploring the idea that images we perceive are often not necessarily the story behind the painting, and the juxtaposition of image and text can work with the historical drama inasmuch as the prose poems work to “frame” the poet and the model’s story. Klimt’s “The Kiss” frames a picture of Wally and Schiele meeting, and the two Schiele’s arising from the poem (albeit, slightly off kilter because it’s a poem and really hard to recreate those images with the space bar) mimic the paintings, but offer different stories than what is seen. Of course, when writing about a painter and paintings, I needed to keep the writing fresh and this was also one way. 8. What would have been different about this Schiele-inspired poetry, what would you not have known/felt/imagined had you not gone to Europe? And was there one moment when you thought: this is what I’ve come for. TH—Without the trip to Vienna and Cesky Krumlov, the journey aspect into the book would never have been there, and I think the book would’ve simply ended up a collection of poems (not that there’s anything negative in that). The discovery element of research was vital to shaping my imagination to be able to create the poetry. Also it enabled me to write true to the era, and the locations, buildings, culture encompassed in seeing many of these places helped with the historical aspects and details. I would have to say, it was when I arrived at Cesky Krumlov, I realized this is what I came for—much of that city, at least the old part, is exactly the same as almost 100 years ago. It was easy to spot locations of some of his paintings, the house he wanted to buy, etc. I could stand and stare at the same river he did, the same landscapes, and the same every day scenes. I can’t describe how it felt to walk in the world they lived in and the energy it gave to the writing—it was part surreal, but partly tangible. TH—What I wanted to create in Wally was an inherent strength, which at first emanates from innocence in a bold bravado when she arrives at Schiele’s house, to a strength of self that comes from love, and from the experience of the era’s changing social and cultural morality. I wanted her to grow up in the poems, from a young fearless girl to a woman that wasn’t apologetic for her actions. I believed that she understood the consequences of her actions and Schiele’s behaviour enough that she could grow from her shame and come away with a strong sense of self. I felt she had the strength of character that she needed to move past the sense of betrayal she felt after the marriage of Schiele and Edith. Edith I imagined to be quite the opposite of Wally. I saw her as a young woman with little bravado, yet someone excited by Schiele’s looks and talent, and I thought that being in love with a high energy artist would be electrifying in the beginning, but that somehow all those eccentricities and sexual exploits would begin to overwhelm her, making her more withdrawn after a few years. The hardest part was to write these emotional changes into the poems, and I must say, I’m glad you noticed. 10. I was initially amused and puzzled, then a little shaken by the opening line in ‘Tourist’: “We were thankful for Starbucks.” Talk about bringing the reader back to earth! The piece returns to the Schiele story but there’s a sense of requiring this abrupt ‘departure’ also, that to linger or allow sentimentality would be too difficult. The way it is sometimes when leaving a loved one, better to make the goodbye quick, clean and as painless as possible. Is this how you felt on leaving Vienna? TH—No, not really. The first part of the research trip had been spent in Vienna and the second had been in Cesky Krumlov; however, we returned to Vienna before leaving as it was our departure point. I wasn’t really sentimental about leaving Vienna, although I think I was overstimulated by the end of the trip, and so we were happy for some comforts of home, which is what Starbucks did for us. Those small things that keep us sane! To me the focus was on the relationship between two people, and my relationship with them. Sentimentality would’ve been over the top at the end of the book. I’m a romantic, but I’m not very sentimental. I wanted a little sanity at the end of the book. A small sip of reality to keep the reader sane. Tracy Hamon was born in Regina, SK and grew up traveling between Regina and her parents’ farm near Edenwold, Saskatchewan. Her first book of poetry This Is Not Eden was released in April 2005 and was a finalist for two Saskatchewan Book Awards. 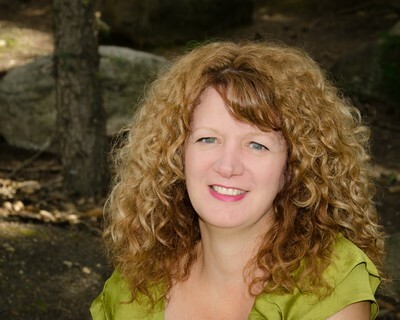 A portion of her second book Interruptions in Glass won the 2005 City of Regina Writing Award and was also shortlisted for two book awards in the 2010 Saskatchewan Book Awards. Red Curls was published by Thistledown Press in fall of 2014.